Minister of Antiquities Khaled Anany announced on Saturday the discovery of two cemeteries that contain five wells, two of them for burial in Tuna el Gebel archaeological area in Minya governorate. The discovered mummies were covered with layers of cardboard as well as crockery. 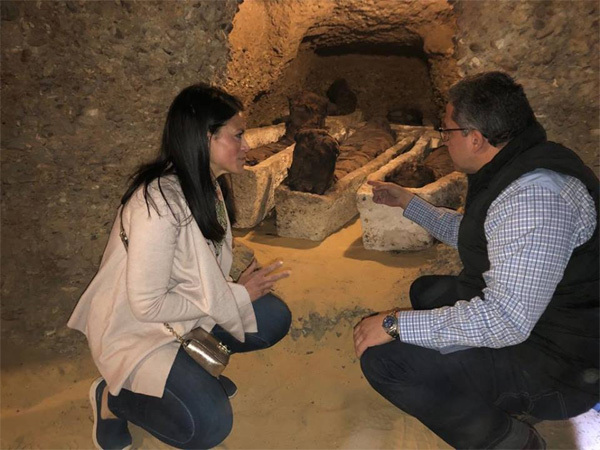 Anany explained that the discovery dates back to the beginning of the Roman era, and the uncovered antique coffins date back to the late era, pointing to the discovery of a layer of plaster, with funerary titles and readings for protection during the journey to the other world. The cemetery includes mummies of men and children as well as wells, all in a very good condition. Egypt Today exclusively reveals previously on January 27 details about this discovery before being officially announced on February 2. 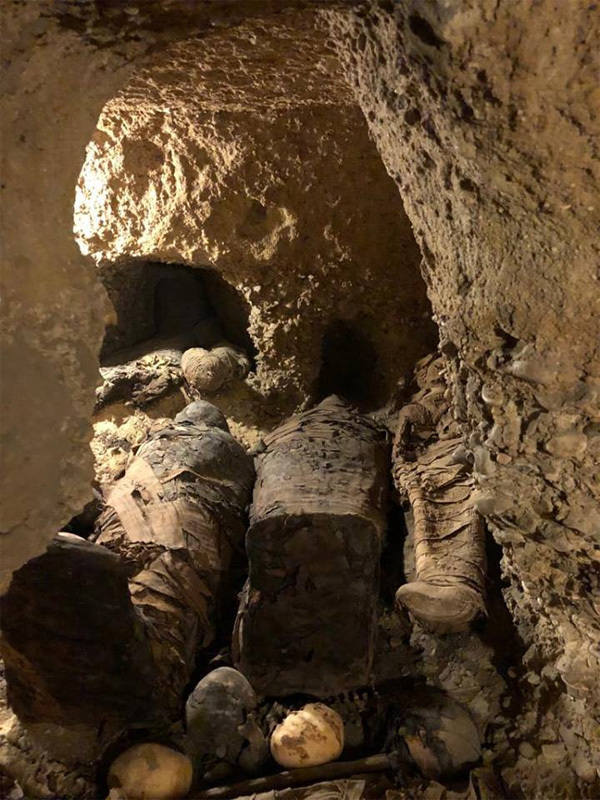 The minister previously announced on Feb. 24, 2018 the discovery of eight tombs that contain about 40 coffins of Pharaonic priests and more than 1,000 Ushabti statues in Tuna el-Gebel area in Minya Egyptian governorate. The tombs were full of jewelry, potteries and jars. The most prominent finds in these tombs were a gold mask, coffins, mummies and statues. 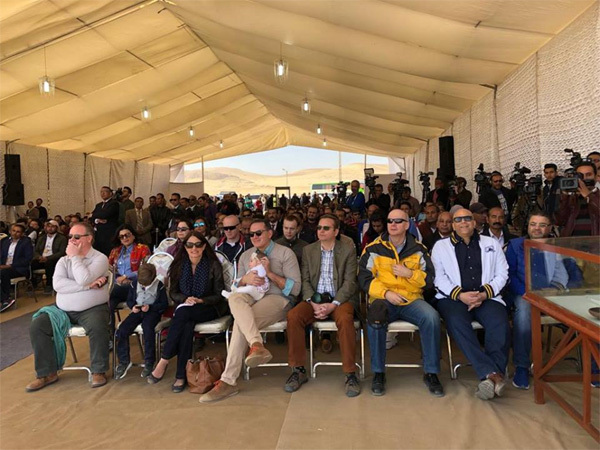 The Egyptian minister of antiquities added that it will take a lot of hard work to uncover all Tuna el Gebel’s treasures, pointing out that the main advantage of this discovery is that it was made by Egyptians. Tuna el Gebel area in Minya governorate is among the archaeological sites that contain plenty of ancient Egyptian treasures that are not yet revealed. Tuna el-Gebel village is famous for having many archaeological tombs, which contributed greatly to the revival of archaeological and touristic life and helped drive Arab and foreign tourists to the region once again. It is an archaeological village located in Al Minya Governorate. It has a population of more than 20,000 people. Tuna el-Gebel was originally named “Towns” in the Pharaonic era and “Tahnet” in the Roman era. The meaning of both names is the blessing or flood. Tuna el-Gebel was considered a cemetery in the Pharaonic, Greek and Roman periods that contains many important monuments, including the tomb and the chapel of Isadora, the martyr of love, which dates back to the Greco-Roman period. Tuna el-Gebel houses the tomb of the priest Petosiris dating back to the Greek era, and the villa of Dean of Arabic literature Taha Hussein, in addition to the existence of many archaeological sites that have not been discovered yet.